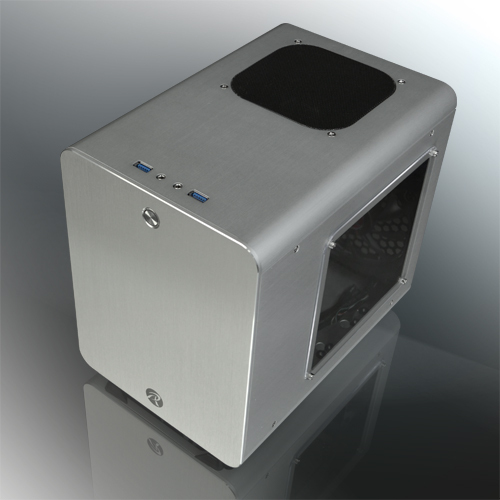 METIS PLUS-RAIJINTEK’s new aluminum MINI-ITX case; Upgraded version of METIS, pure innovation meets classic black design. METIS PLUS is compatible with regular/ standard ATX Power supply, 170mm VGA card, 160mm height CPU cooler as well as one 12025 O-type LED fan pre-installed at rear and one 120mm fan (option) on the top. Aluminum color hair-silk anodized appearance. METIS PLUS satisfies not only your request of looking for elegant taste, but simultaneously satisfies the joy of installing a performing case.